It was supported by 77 members. 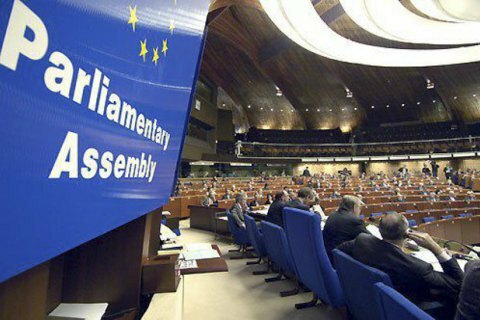 On 28 June, the Parliamentary Assembly of the Council of Europe (PACE) adopted a draft resolution calling for the release "without further delay" of all Ukrainians detained in Russia and Crimea on "politically motivated charges". It was supported by 77 PACE members while 15 abstained. The report on the matter and debates preceded the vote. The adopted resolution, based on the report prepared by Emanuelis Zingeris (Lithuania, EPP/CD), underlines that until their release, the Russian Federation should ensure full respect of their rights, including by respecting the prohibition on torture and inhuman or degrading treatment or punishment and ensuring the right of access to requisite medical assistance in order that health and well-being are adequately secured. The adopted text calls to allow the monitoring of these detainees’ state of health and conditions of detention by “independent international monitors”, including the CPT and the International Committee of the Red Cross, and to allow Ukrainian officials, including the Ukrainian Parliament Commissioner for Human Rights, to visit them.